On The Daily Meal Here! To make the shortbread layer, spray a 9x13 baking dish with nonstick cooking spray. 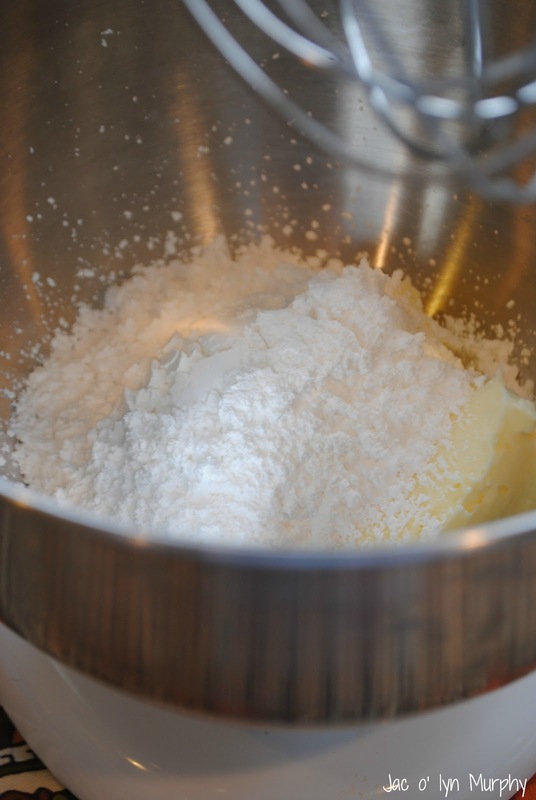 In a medium-sized bowl, sift together the flour, salt, and baking powder; set aside. 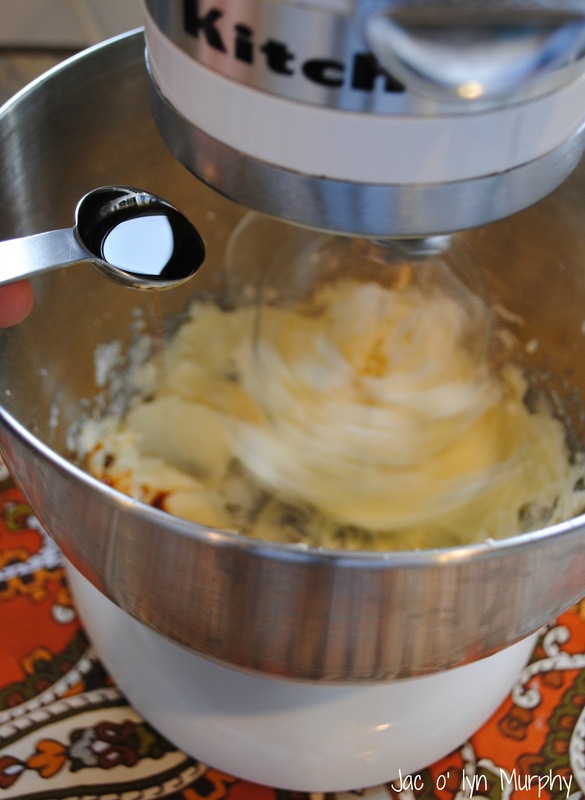 In a stand-mixer, beat together the butter and sugar. Add the vanilla extract and beat until combined. Slowly beat in the dry ingredients until the dough is dry and firm. 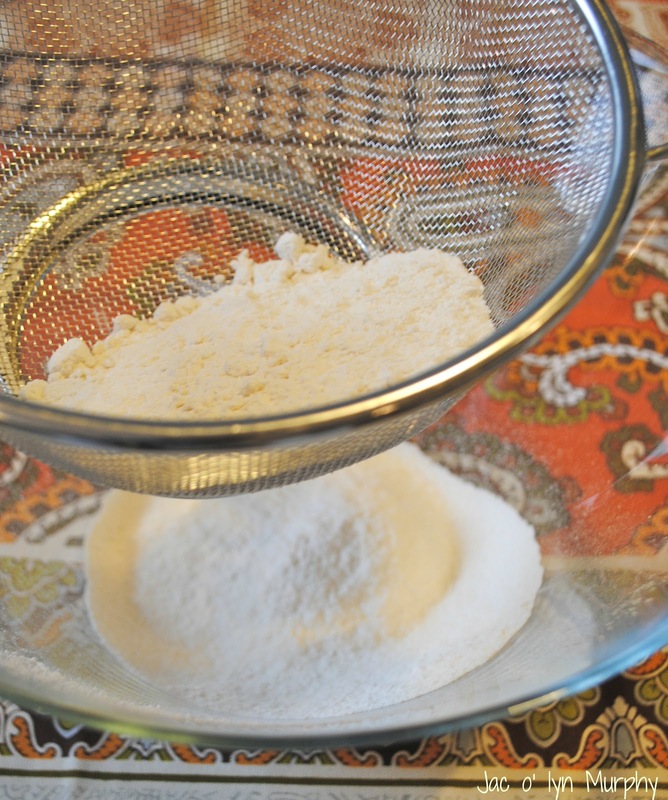 Press into the baking dish and pat firmly so that the dough fills every corner. You want the dough to be about ½ inch thick. 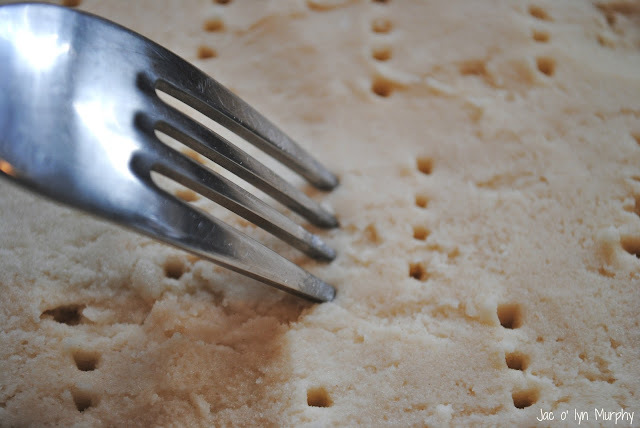 Using a fork, poke the top of the shortbread dough all over with holes. Bake in the oven for 35-40 minutes until the top is golden brown. 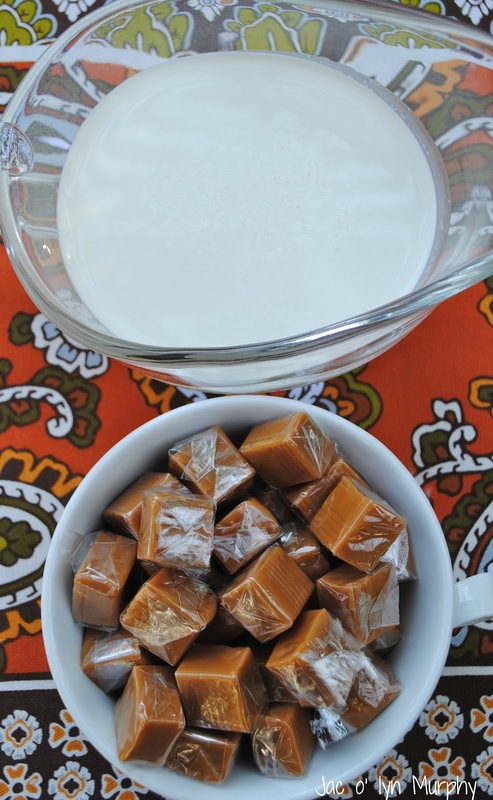 For the caramel, heat the heavy cream in a medium saucepan until just simmering. Add the caramels and slowly stir until they are all melted. Season with salt and pour the caramel mixture over the shortbread, making sure to spread it around so that it coats the shortbread layer evenly. 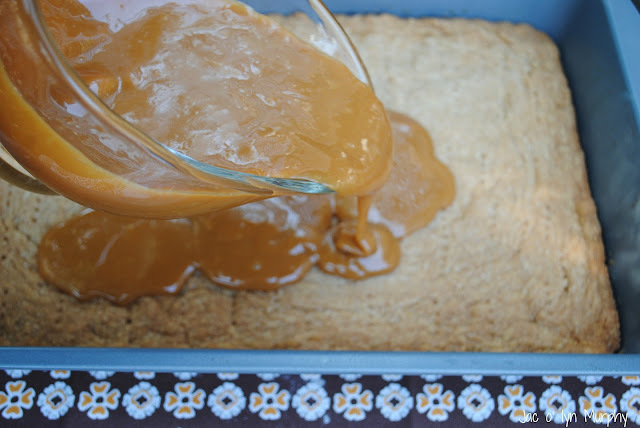 Allow the shortbread and caramel layers to cool for about 20 minutes, or until the caramel has hardened. 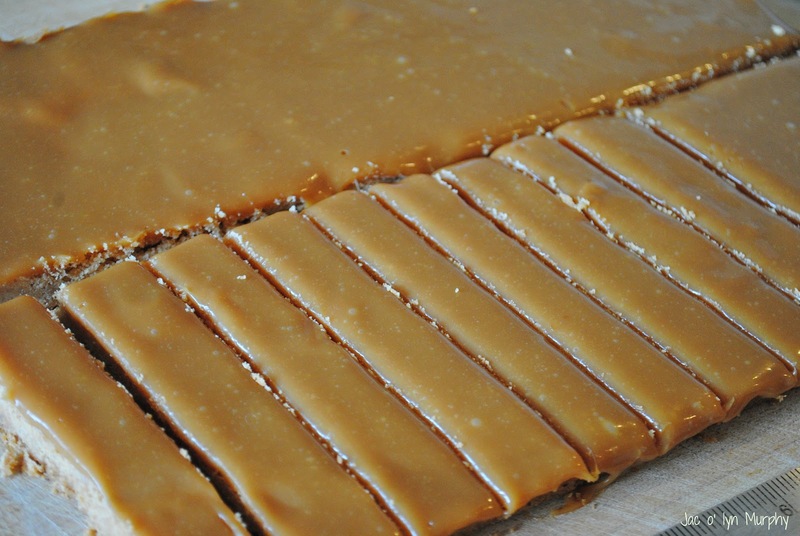 Once cooled, cut the caramel-shortbread sticks into 4 inch by 3/4 inch sticks place on a baking sheet lined with parchment paper to prepare for coating. 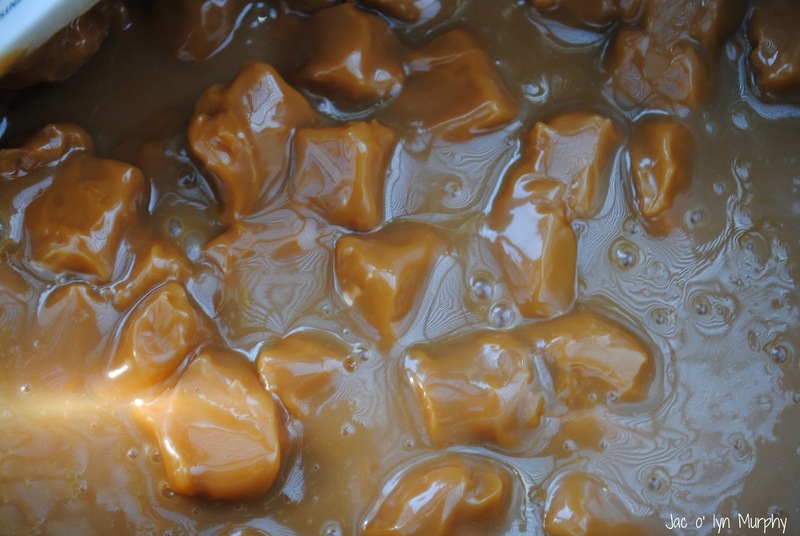 Using a double boiler, melt the milk chocolate until silky and smooth. 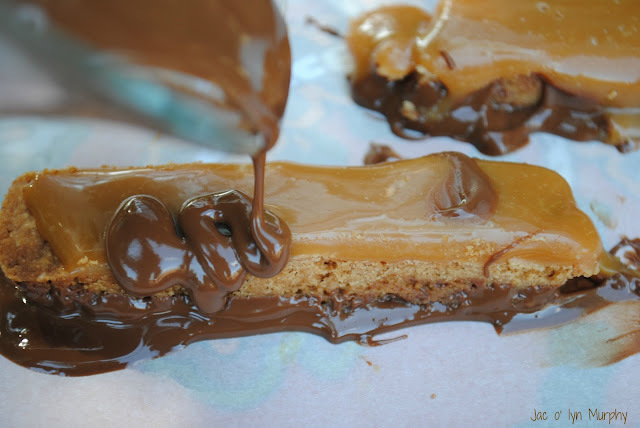 Taking each caramel-shortbread stick, dip the bottom side (the shortbread side) into the melted chocolate. 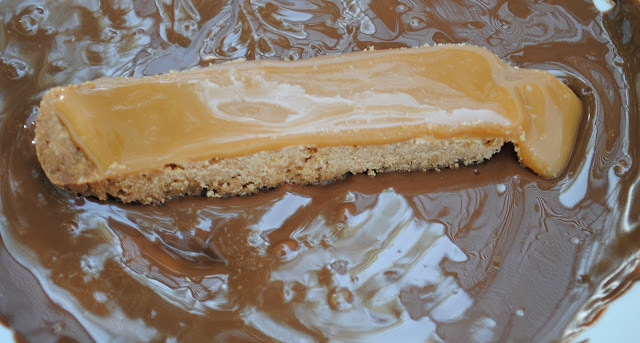 Place the stick onto the baking sheet and then carefully spoon the melted milk chocolate over the top so that all sides of the caramel-shortbread stick are completely coated. Coat the rest of the caramel-shortbread sticks and let them cool in the refrigerator until the chocolate is hardened, about 30 minutes. i'm sorry...did i read this right??? 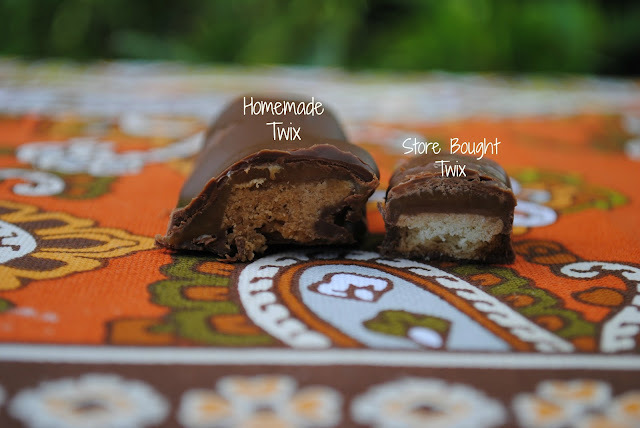 did you just MAKE twix bars?? you are amazing!! look so yummy!!! YOU have a lot of "Twix" up your sleeve! 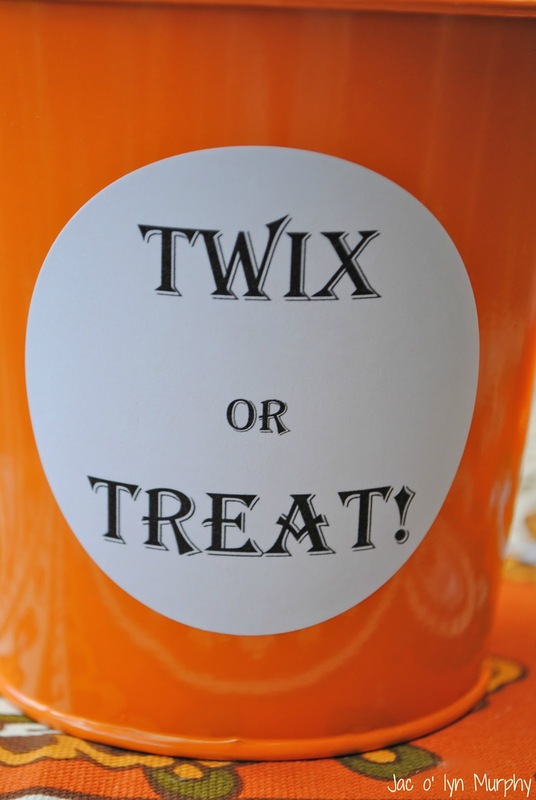 I want to Trick or Twix at your house!!! Yummy in my Tummy!! These look sooooooo fabulous!!!!!!! Adding it to my do to list! It's not fun to diet and blog hop! Yum!!!!! Your Twix bars look amazing! And the presentation is super cute! 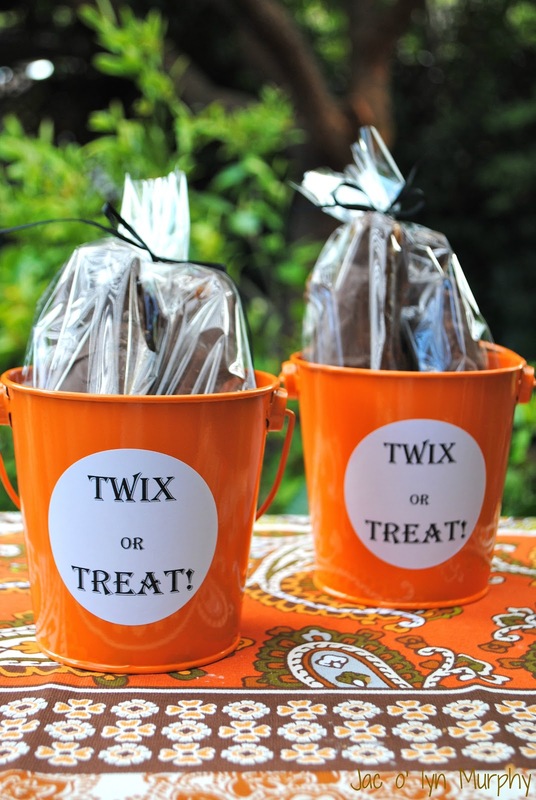 I just love using those little tin buckets for goodies! ooo this looks so yummy!! Those look amazing. I'm definitely giving them a go this Halloween. I'm your newest follower from "Get Your Craft On" Blog Hop. Come say hi!